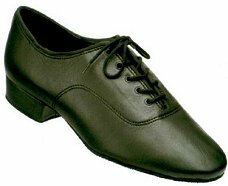 Supadance's most popular men's style; this 3-eyelet oxford with a rounded toe box is perfect for all types of dance. Order 1 size smaller than your American size. All heels are low. 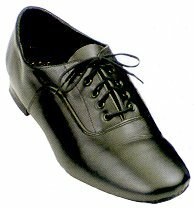 A new concept from Supadance, this 3-eyelet oxford features an indoor/outdoor sole suitable for the dance floor or the street. Order 1 size smaller than your American size. Heel is low. 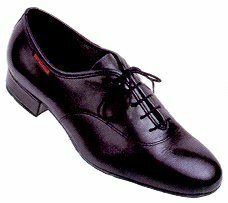 A 3-eyelet smooth shoe for men. 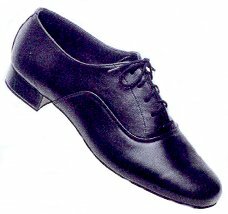 Made by International Dance Shoes of England. Order 1 size smaller than your American size. Heel is low. 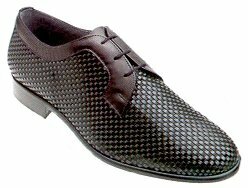 Comes in Black Patent/Black Nubuck Combination only. 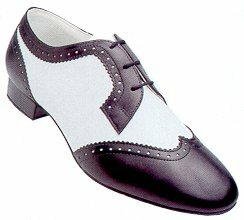 A combination black and white spat -- perfect for Lindy or swing dancing. Made by Supadance in England. Order 1 size smaller than your American size. Heel is low. Available in Black Leather/White Leather only. 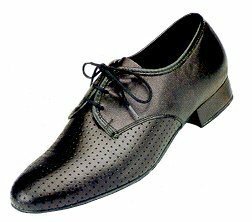 A 3-eyelet Oxford with a Crocodile imprint black patent finish. Made by Supadance of England. Order 1 size smaller than your American size. Heel is low. 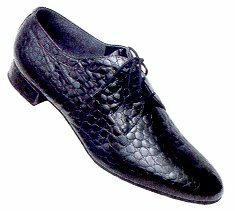 Available in Crocodile only. Ray Rose. 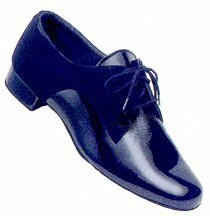 Available in Black Leather and Black Patent. Available in 1" heel only. Order 2 1/2 sizes smaller than your American size. Medium width. Pictured: Black Leather. Ray Rose. 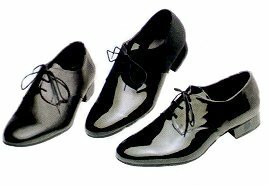 Available in Black Leather and Black Patent. Available in 1" heel only. Order 2 1/2 sizes smaller than your American size. Medium and Wide width. 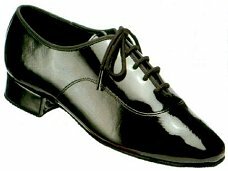 Pictured: Black Patent.